Seeing Killer Whales (Orcas) in their natural habitat is breathtaking – imagine sea kayaking where they roam! 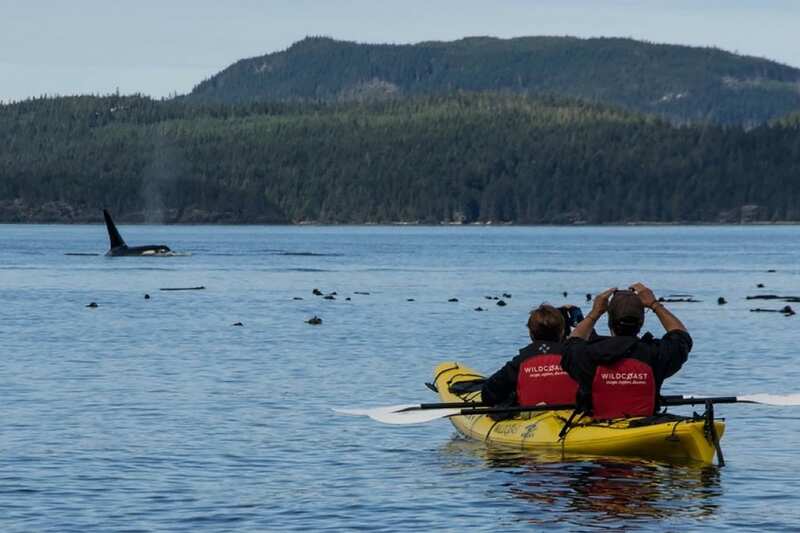 Capturing this remarkable experience and finding the best spot to go kayaking with orcas is what you will discover when you take a trip to the remote Orca Camp. Canada’s west coast is known for its large population of orcas. 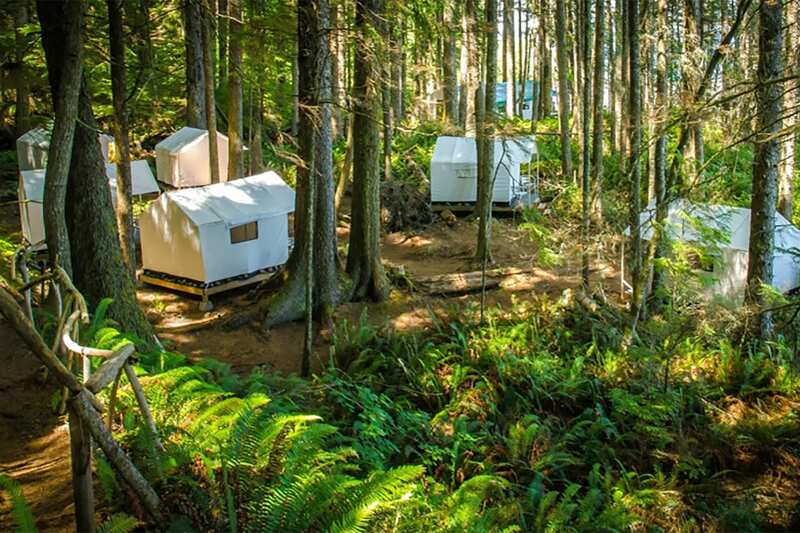 As the northern resident killer whales travel down the coast to feed on salmon, you will be right there at Orca Camp. On this kayaking tour you will launch your kayak into the waters of Johnstone Strait each day in prime killer whale territory. Time at camp is an experience not to be missed. 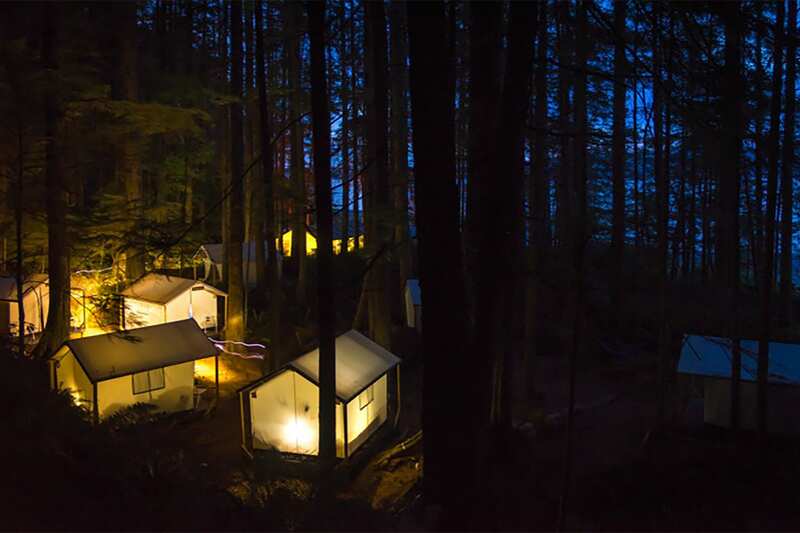 Safari sleeping tents, hot tub, gourmet food, and a rambling beach make this kayaking tour Johnstone Strait’s best glamping experience. 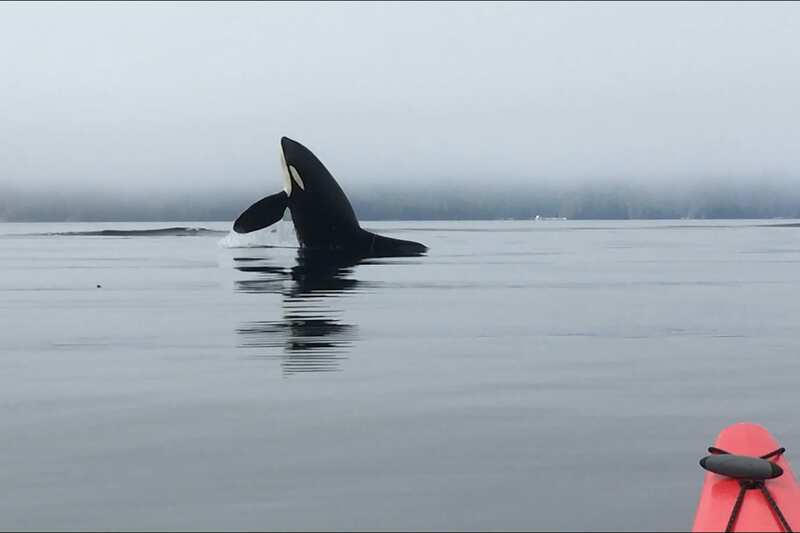 Every day you will be out on the water with the possibility of kayaking with orcas. The waters of Johnstone Strait are deemed a critical habitat for both resident (fish-eating) and transient (mammal-eating) Orca pods. 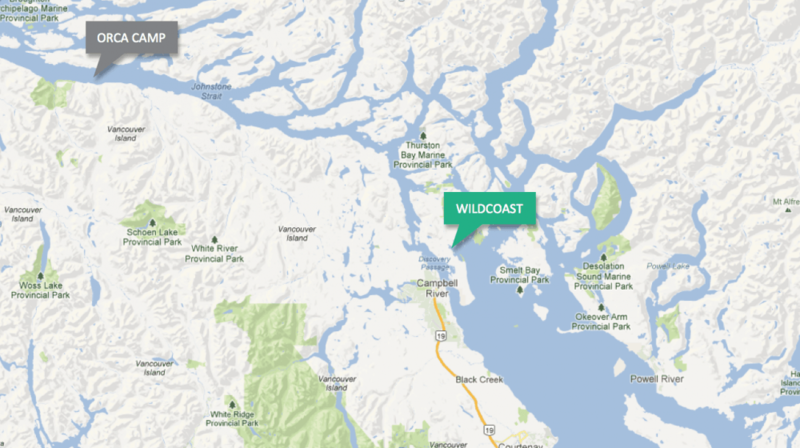 Killer whales spend their summers in and around the Robson Bight Reserve directly beside camp. There is no road access to this region so only few have the privilege to go. Some Orcas are in these waters all year long. During the summer months all Northern Resident pods congregate in Johnstone Strait to feed on the abundant migration of salmon. You can often witness whales feeding by the kelp right from our beach. The draw of this region is the opportunity to be kayaking with orcas. Given their wild nature, you can never be guaranteed to be kayaking with orcas and humpback whales, however your chances to encounter whales in this area is some of the best the world has to offer. Today you will meet your water taxi at 8:00 am, at Discovery Launch in Campbell River. It is on this 2.5 hour journey through Discovery Narrows and the infamous “Seymour Narrows”, that you will meet your expert guide, and be briefed on your surroundings, and the exciting days to come. Keep your eyes open on the journey, as sightings of Dolphin, Whales, and porpoise are common, even before you reach camp! Upon arrival at your camp, you will be greeted by camp staff, and shown to your wilderness accommodations. In the afternoon, we will enjoy our first paddle in this incredible, and remote location. Welcome to the second day in Paradise! Today will be a full day of exploration by kayak, and while we look and listen for killer whales, your guide will enrich your experience through intimate knowledge of your surroundings. A critical and dynamic habitat for Orca, there is infinite knowledge to be shared about this remote coastline. Not only is being on the water spectacular, but you will also venture inland to a beautiful waterfall where the brave can go for a dip in the glacial waters. On our final day of the trip, you will have a chance to experience one last sunrise paddle. As we wait for our water taxi to arrive, soak up the final moments of this pristine wilderness. Your taxi will arrive back in Campbell River around 3:00 pm.